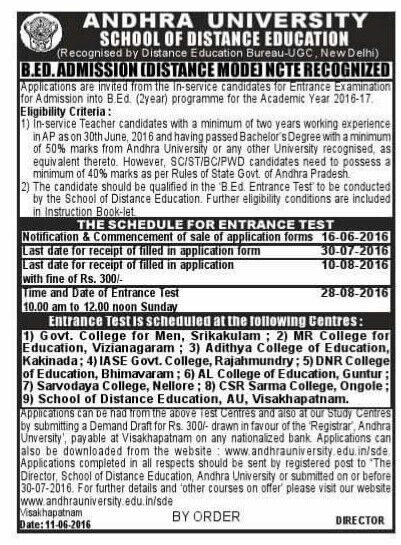 for Admission into B.Ed. (2year) programme for the Academic Year 2016-17.
minimum of 40% marks as per Rules of State Govt. of Andhra Pradesh. 9) School of Distance Education, AU, Visakhapatnam. also be downloaded from the website : www.andhrauniversity.edu.in/sde. NOTE : Original Certificates are to be produced at the time of admission.